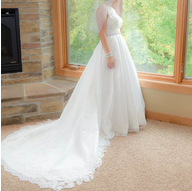 Experienced bridal alterations, custom veils and one of kind gowns.I started sewing at the age of 3. With training in bridal I started doing wedding alterations to put myself thru design school. With 32 years of experience, I enjoy making people feel beautiful. 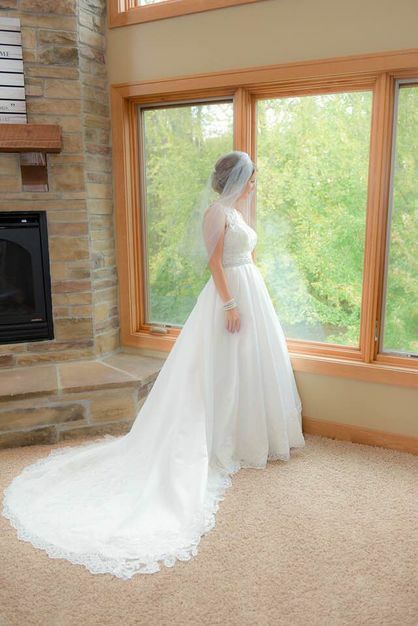 I not only do alterations, but I make veils as well as custom gowns. 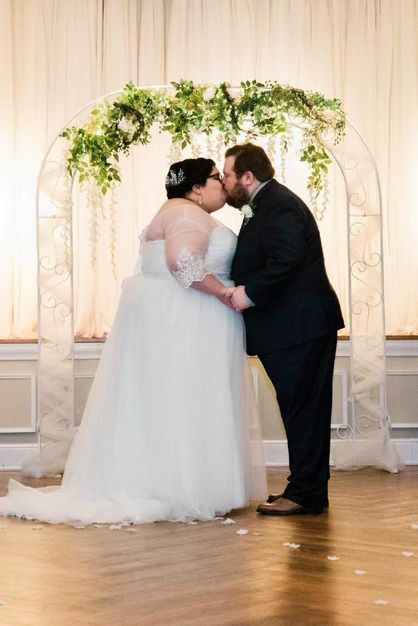 Nickie’s Alterations is so much more than just alterations. My specialty is customization of gowns and dresses. Nowadays most seamstresses want to crank out as many hems as possible. I pride myself on being one of the few that does a lot more than that. 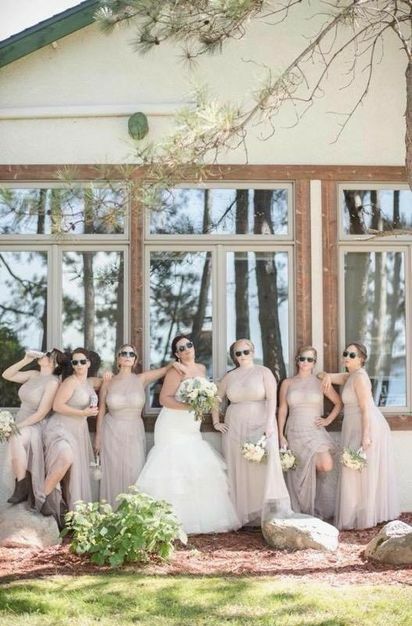 If you have a dress or gown of any kind that you would like transformed into something that is one of a kind or just that little bit extra special, I am the one to come see. 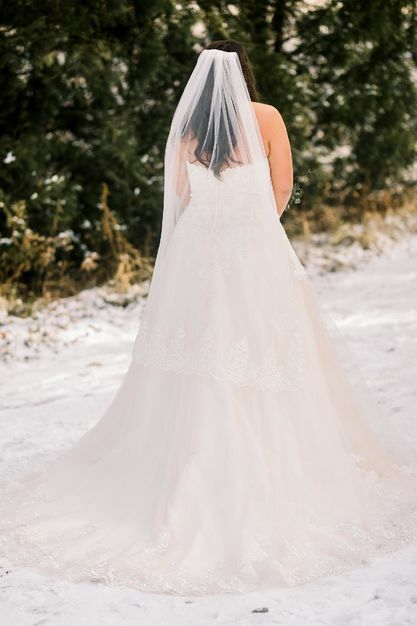 When you are looking for that special dress or gown that you just can’t get out of your head for a special moment, give me a call. I not only customize existing dresses and gowns, but I also make them from scratch. I have even taken Grandma’s gown and made it into a christening gown as well as first communion dresses. 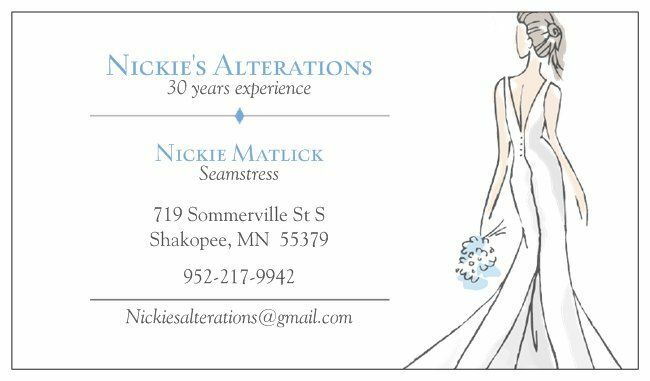 The next time you have an idea or see a picture of a gown or dress that you just MUST have, contact Nickie’s Alterations. I do many gown alterations including making them from scratch and designing them. My prices are much better than most retailers. 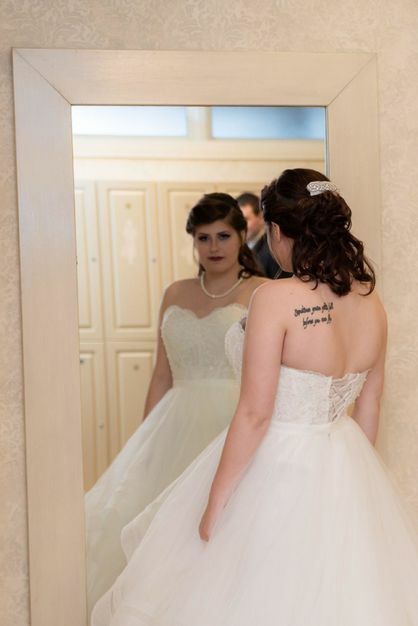 I not only alter gowns but I do customization's to existing gowns and make original gowns as well. I also make veils, bridesmaid dress and prom gowns. It depends on the job. Sometimes it only take me a couple weeks and sometimes it takes months.